This week, the Center is excited to welcome LoadBang, the NY-based chamber ensemble that TimeOutNY has called "a formidable new-music force." With their unique, pneumatic instrumentation of trumpet, trombone, bass clarinet, and baritone voice, the ensemble has quickly cultivated a broad and diverse repertoire since their founding in 2008, premiering over 200 new works, including originals and arrangements by Charles Wuorinen, David Lang, Alex Mincek, Eve Beglarian, Nick Didkovsky, Reiko Füting, Andy Akiho, and Alexandre Lunsqui. Their bio proudly boasts a "stylistic palette ranging from whistled Brazilian rhythms and microtonal jazz standards to the decoupled and deconstructed sounds of the second modernity." 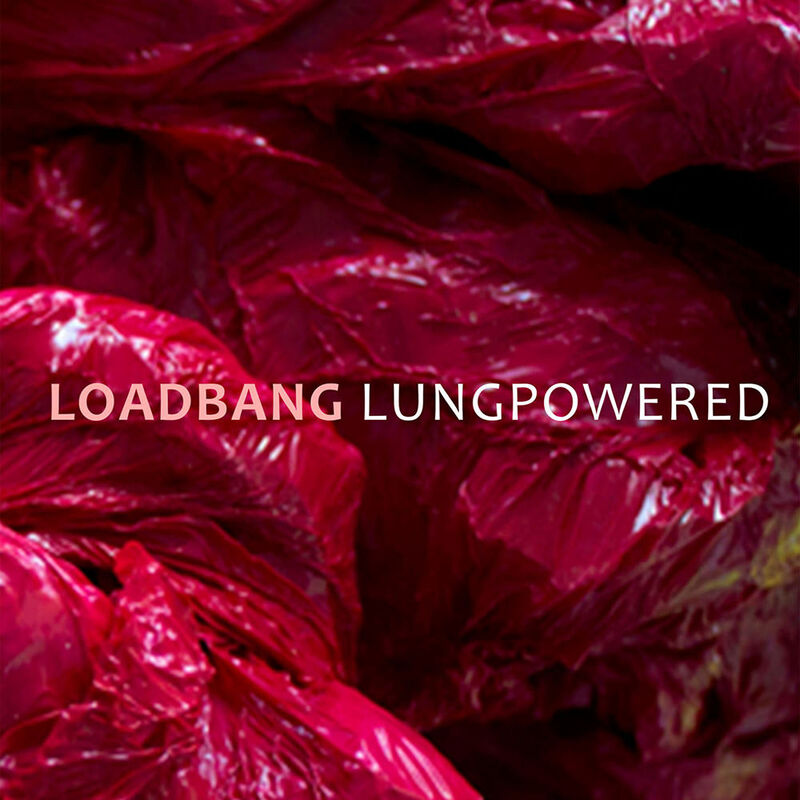 Indeed, Loadbang's unorthodox instrumentation yields a distinctive character all its own, one that the NewYorker has characterized as having "an irreverent, rough-edged, yet oddly cultivated style." This oddly-cultivated style will be on display at their November 12 concert, at which the ensemble will showcase selections from their recently-released LP, Lungpowered. The program will include Alex Mincek's Number May Be Defined, a driving rhythmic work that corrals a diverse ecosystem of polyphonic organisms into a quirkily dynamic sonic unity. Scott Worthington's Infinitive strikes a different balance, one between motion and stasis, anxiety and resignation, as its repeating harmonies outline Shakespearean soliloquies sung over shifting colors and uneasy rhythms. The program will also feature a work by Loadbang's own Jeffrey Gavett, whose Musicorum et Cantorum sets a text by the Medieval theorist Guido of Arezzo around a dense microtonal tapestry of brass glissandi and disjunct clarinet stabs. Other works featured will include the dynamic agitation of Heather Stebbins Quiver, the quarter-tone excitations of Adam Zahller's Ledascape, and Taylor Brook's Ouricon Songs, Volume 2, a new quasi-musical theatre take on European-American folk music. Loadbang's members are each renowned musicians in their own right. Baritone Jeff Gavett is the founder of the virtuosic vocal ensemble, Ekmeles, and has performed with groups as diverse as ICE, Red Light New Music, the Wet Ink Ensemble, the Rolling Stones, and frequent Center-quests Ensemble SIGNAL and Talea. Also active as a composer and conductor, Gavett has premiered a number of significant works, including the US premiere of Luigi Nono's Quando stanno morendo and the world premiere of the full version of Iannis Xenakis's Oresteïa. Carlos Cordeiro (bass clarinet) has toured Europe, Russia and the United States with groups like the Ensemble and Lucerne Festival Orchestra, while performing with conductors like Pierre Boulez and Magnus Lindberg. Andy Kozar (trumpet) is a member of TILT Brass and has worked closely with composers like Helmut Lachenmann and Augusta Read Thomas. As a baroque trumpeter, he has performed as part of the Boston Early Music Festival and with Ensemble Musica Humana, while also finding time to record on indie pop albums by the likes of Yuck, Emanuel and the Fear, and Bennett Lin. William Lang (trombone) is a founding member of the Guidonian Hand trombone quartet, as well as the Boston Microtonal Society's Notariotious ensemble. A student of the Meridian Arts Ensemble's Benjamin Herrington, Lang has performed solo recitals at the Stone, the Tank, the Gerschwin Hotel, and Greenfield Hall, and other venues throughout the Northeast and Miami. Together, the four musicians in Loadbang not only premiere cutting-edge works of notated music—they are also expert improvisors known for pushing their breath-powered instruments to physical extremes. They recently inaugurated a project to record some of their improvisations, which are to be released in hand-made limited editions. Following their Thursday night concert, Loadbang will work with UB graduate composers at a composer workshop that will see the ensemble performing several new works. Included will be Derick Evans' Bare Ruined Choirs, Igor Marques's Suíte Curitibana, and a new work by Roberto Azaretto. As an ensemble devoted to education, with both the technical skill and musical enthusiasm needed to execute complex new music, we look forward to hearing Loadbang breathe life into these new works! The Center is excited to announce the June in Buffalo 2016 call for works! Below you can find application requirements for composers interested in attending the festival and writing for one of the many renowned resident ensembles, including the Arditti Quartet, Uusinta Ensemble, Dal Niente, and Ensemble SIGNAL. Additional information can be found on the June in Buffalo website. Presented by the Department of Music and The Robert and Carol Morris Center for 21st Century Music, June in Buffalo, a festival and conference dedicated to composers, will take place from June 6-12, 2016 at the University at Buffalo. June in Buffalo offers an intensive schedule of seminars, lectures, master classes with selected faculty composers, workshops, professional presentations, participant forums and open rehearsals as well as afternoon and evening concerts open to the general public and critics. Each of the invited composers will have one of his/her pieces performed during the festival (please see application process for specifics). Evening performances feature faculty composers, resident ensembles and soloists renowned internationally as interpreters of contemporary music. A résumé or curriculum vitae detailing your education, experience, and creative activity. A letter of reference from someone acquainted with your current compositional activity. Proposals with electronics and/or multimedia will be considered. Included with the proposal should be a brief description of the work that includes length, full instrumentation, and any technical requirements. Proposals for works in progress will be considered. A portion of the score plus the description listed above must be included with application materials for in-progress works. One or two scores that demonstrate your recent work and accompanying recordings, if available. A $25 non-refundable processing fee. Checks or money orders should be made payable to June in Buffalo. Foreign applicants must pay by international money order in US currency. Do not send cash. An e-mail address at which you can be easily contacted and a SASE (optional) for the return of application materials. Application materials must be postmarked by February 15, 2016.